With 683 tiered seats, versatility is the Octagon’s strength. The thrust stage can be increased to 12 metres wide, or entirely removed, allowing an additional 53 seats. Removing half the stage reveals an orchestra pit. The theatre’s intimacy and excellent sightlines are unique in Perth. 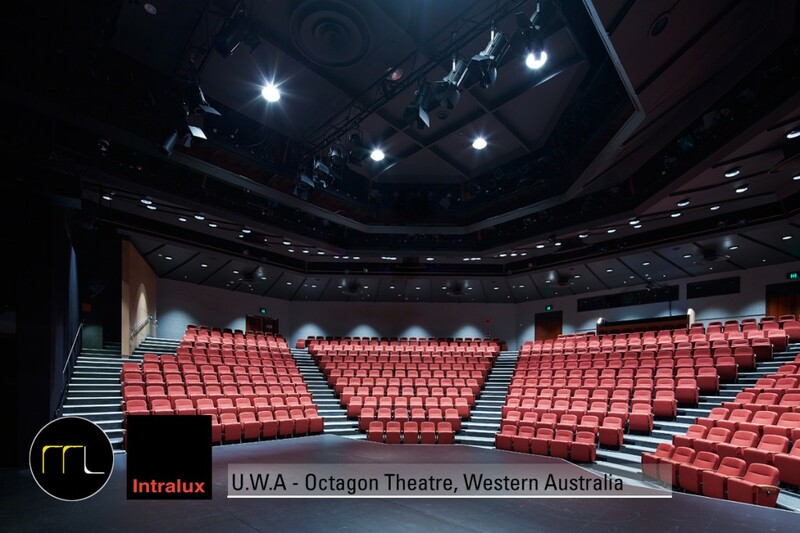 In 2013 all Front of House areas were refurbished including new seating and lighting, making the Octagon one of the most comfortable theatres in Western Australia. 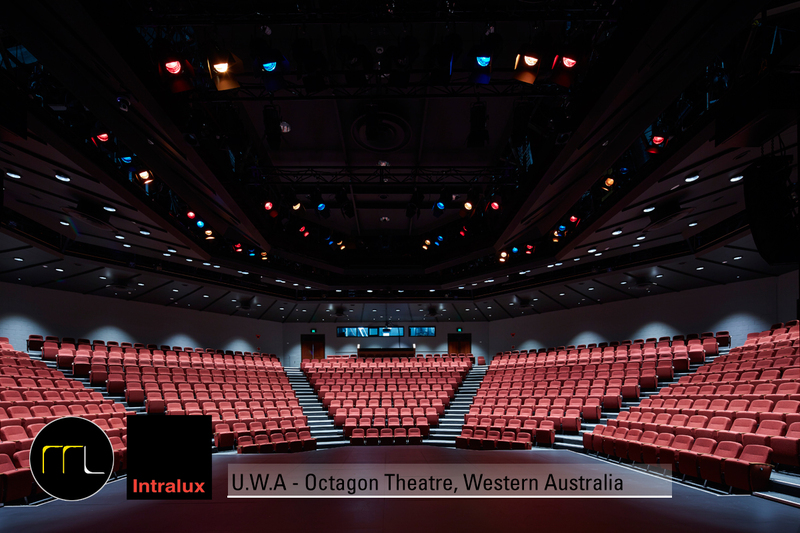 Over the years a majority of auditoriums and theatres across Western Australia utilise incandescent or halogen lamps throughout their lobbies, function areas and the main performance areas. This is mainly due to the age of the theatre and the lighting and dimming technology available at the time. The evolution and progression to LED as a light source, for this application offers substantial energy and maintenance costs savings. However, due to the complexity of dimming LED, a simple lighting upgrade on the existing dimming system is prohibitive. An LED lighting upgrade would also require the existing “phase cut” dimming system to be replaced and this will mean additional wiring and hardware, and result in a very costly exercise and render the total upgrade uneconomical. LED light fittings require a remote driver that is paired to the LED Chip to drive it in its most efficient manner. The simple “Phase Cut” dimming system used on incandescent and halogen lamps, will not work effectively on standard LED drivers. Mondoluce collaborated with both Intralux and Lumitech to overcome this issue. The Octagon Theatre has undergone a lighting upgrade replacing more than 100 halogen globes with a new, state of the art LED system incorporating the Enepro Xicato LED Downlight. The range of LED downlights utilising the latest technology from Intralux and Xicato in “High Colour Rendition” LED modules to provide a lighting effect most suited to replacing existing halogen installations. Mondoluce offered a range of Intralux Enepro Xicato LED Downlights utilising a low glare reflector system that delivers excellent efficiencies. Thus, providing a lighting system to match or better the old technology Halogen system, with the added benefits of low maintenance, energy efficiency and long lamp life. The new system has been specifically designed to meet the requirements of the venue and has the distinct benefit of reducing both energy consumption and maintenance costs.